What's it about? 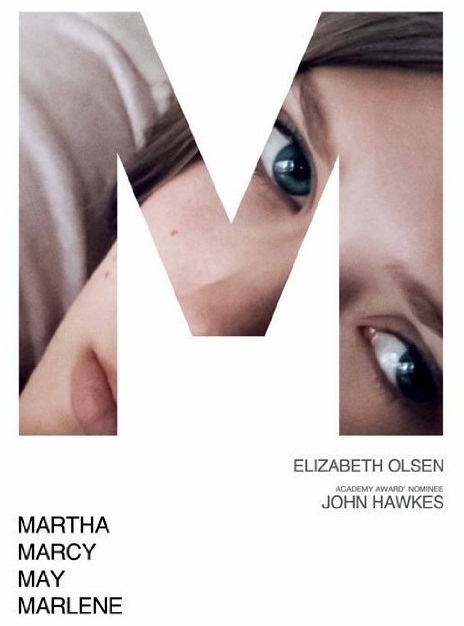 Martha (Elizabeth Olsen) has escaped from a hippie cult community and comes to stay with her estranged sister Lucy and her husband, who know nothing of where she has been. But Martha is frightened cult members will track her down and her behaviour becomes increasingly erratic. Is she just being paranoid, or has she good reason for concern? Is it any good? Yes it is. A quiet, uneasy psychological thriller, with a terrific central performance from Olsen as the troubled teenager struggling to re-adjust to life outside the commune. You'll need to pay attention as we move back and forth in time, the flashbacks smartly and smoothly handled as small events in Martha's present (such as smells, noises, movements) trigger memories of her past experiences in the commune. This structure provides a constant drip-feed of information about how she became indoctrinated into the cult, which slowly builds up to queasy effect and makes for an uncomfortably credible depiction of how such cults can snare vulnerable individuals (including renaming her as Marcy May to cut links with her previous life). This is further emphasised by the contrast between the charismatic charms of insidious cult leader Patrick (chillingly played by John Hawkes) with the well-meaning, but clumsy attempts to get through to Martha by the exasperated Lucy. It's all good stuff and the awkward, but very apt, title nicely reflects the identity crisis Martha is undergoing as her past and present blur together. But be warned. This is one of those films with a lack of closure. The abrupt ending is presumably intended to provide an ambiguous climax to a film which wouldn't really suit a conclusive finale, but this skated a bit close to cop-out for my liking. Still, worth a watch if you like tense dramas or are considering joining a cult. I don't trust you. What do others think? Mainly positive reviews with Olsen rightly singled out for praise. The main surprise for people seemed to be that as a younger sister of the infamous child stars, the Olsen twins, she couldn't possibly contribute anything good to the world. This film changed that view with many impressed by (a) her performance and (b) the fact she gets her kit off. Oh, so now you're interested in seeing it? You big perv. What does the Fonz think? Destined to be a cult film.